Elon Musk is a South African born Entrepreneur and businessman who is widely known for founding X.com in 1999 (which later became PayPal), SpaceX in 2002 and Tesla Motors in 2003, Solar City in 2006 ( It is now a Tesla Motors Subsidiary), OpenAI in 2015 (A not for profit research company which aims to promote friendly artificial intelligence), Neuralink in 2016 (A neurotechnology company aimed at developing brain-computer interfaces) and The Boring Company in 2016 (A construction company which builds tunnel infrastructure to reduce travel time). Along with his primary business pursuits he envisioned Hyperloop, A new form of a High-speed transportation system. According to him, the primary goal of SpaceX, Tesla Motors and Solar City revolve around his vision to change the world and humanity! His ultimate goal is to reduce the risk of human extinction by building a human colony on Mars. So what are his major innovations and achievements so far? Musk founded his third company in 2002 called Space Exploration Technologies Corp (also known as SpaceX) with an intention of building spacecraft for commercial space travel. 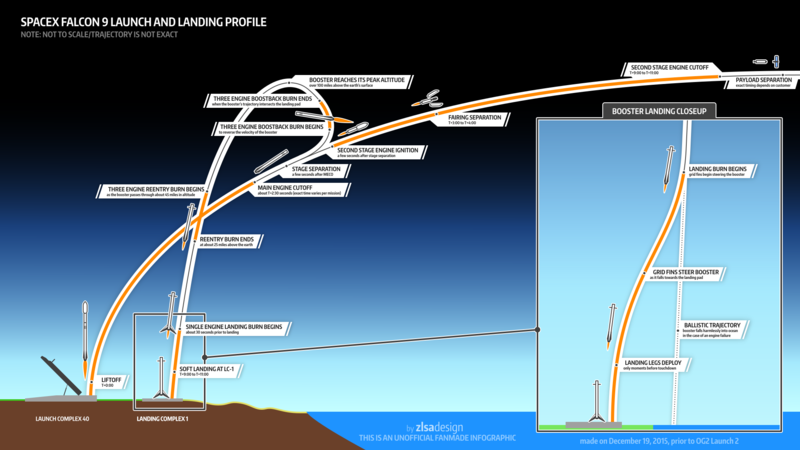 On May 22, 2012, SpaceX created a history by launching a Falcon 9 rocket to the International Space Station to deliver 1000 pounds of supplies for astronauts stationed there becoming the first privately owned company to achieve this feat. On December 22, 2015, SpaceX successfully landed the first stage of its Falcon rocket back at the launchpad. This was the first time in history such a feat was achieved and is a significant step towards rocket reusability lowering the costs of access to space. 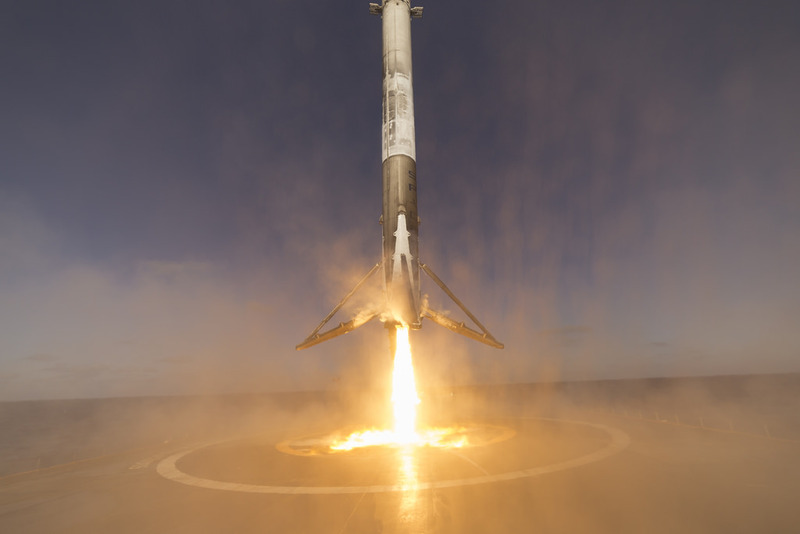 This first stage recovery was replicated several times and another milestone was achieved when Falcon 9 landed back at an autonomous drone ship in the middle of the ocean in December 2017. The company enjoyed another milestone moment in February 2018 with the successful test launch of the world’s most powerful rocket, “The Falcon Heavy”. For the test launch, the Falcon Heavy was given a payload of Musk’s cherry-red Tesla Roadster, equipped with cameras to “provide some epic views” for the vehicle’s planned orbit around the sun. SpaceX is currently the largest producer of rocket engines. SpaceX has planned for a first manned mission to The Red Planet by 2022 and establish a Mars Colony by 2040 with a population of 80,000. A Falcon 9 rocket successfully landing back in the launchpad. Elon Musk is the Founder, CEO and chief product architect at Tesla Motors, a company dedicated to producing affordable, mass-market all-electric cars. Tesla Motors is currently the United States’ most valuable Car Manufacturing company. Tesla Motors unveiled its luxury all-electric sedan, Model S in 2013 which received the honour of 2013 Car of the Year. Tesla Model S has been rated 5.4 out of 5 in safety ratings by National Highways Administration of US, the highest rating ever given to a car. By 2014 Tesla Model S came equipped with Autopilot which utilizes radars, cameras, acoustic sensors, lane detector to facilitate semi-autonomous driving and handsfree cruising on highways and handsfree parking. It is currently the only car in the world to provide semi-autonomous driving. In November 2017, Musk unveiled the new Tesla Semi ( First ever Electric Truck ) with a range of 500 miles on one single charge and a new Tesla Roadster which will become the fastest car in the world with 0-100KMPH time of just 1.9Seconds!!! Musk in 2016 committed to building a SolarCity advanced production facility in Buffalo, New York making it one of the largest single solar panel production plant in the world. In April 2017 it started to develop devices to treat serious brain diseases in the short-term, with the eventual goal of human enhancement. In yet another innovation, in January 2017 Elon Musk suddenly decided he was going find a way to reduce traffic by devoting resources to boring and building tunnels. He launched his venture, named “The Boring Company,” In late October, Musk posted the first photo of his company’s progress to his Instagram page. He said the 500-foot tunnel, which would generally run parallel to Interstate 405, would reach a length of two miles in approximately four months. It is an invention that would foster commuting between major cities while severely cutting travel time. Ideally resistant to weather and powered by renewable energy, the Hyperloop would propel riders in pods through a network of low-pressure tubes at speeds reaching more than 700 mph! It will take 7-10 years for the first hyperloop system to start functioning. Cost of constructing hyperloop is 1/10th of Railways system. A very concise and terse description of accomplishment of Elon Musk. Thanks for sharing.